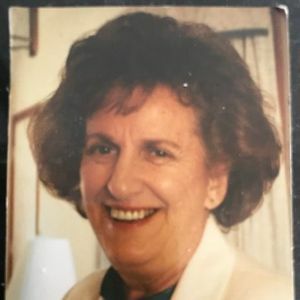 Mary A. Sysyn, 89, of Manchester died March 20, 2019 surrounded by her family after a period of declining health. Always active in her community, Mary served 5 terms on the Board of Mayor and Aldermen representing her Ward 4. She also served numerous terms in the NH House of Representatives in Concord. As a member of St. George's Greek Orthodox Cathedral, she served on the church board for several years. She loved to Greek dance and never missed an opportunity to do so. Family members include her children, Julie Herbert and husband Chris of Manchester, Catherine Elder and husband Bruce of Virginia, Susan Satz of Ormond Beach, FL; her grandchildren, Joshua Buzza, Sarah Herbert, Lana Elder, Emily Elder, Sam Elder, Andrew Elder, Kari Satz, and Kate Satz; numerous nephews, nieces, cousins and great-grandchildren. The funeral service was held on Thursday, March 28, 2019 in St. George Greek Orthodox Cathedral, 650 Hanover St, Manchester. Committal prayers and burial will be in Pine Grove Cemetery.